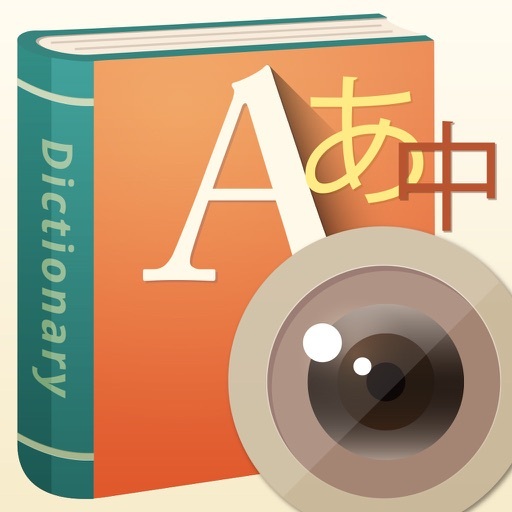 Point the iPhone’s or the new iPad’s camera at any word and Worldictionary will instantly define and translate it. No need to manually type words or take pictures. 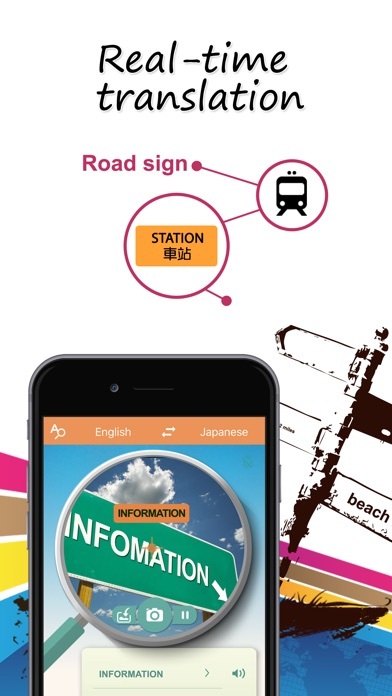 This app will be your indispensable travel tool primed to give you translation on-the-go. 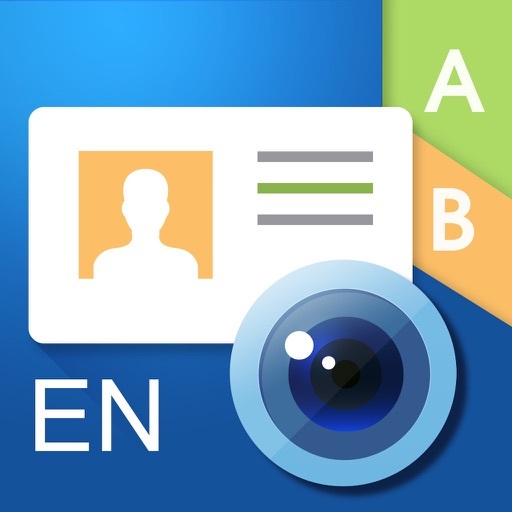 • The instant 'View and Translate' feature allows you to get instant translation simply by pointing your iPhone’s camera at a word you want to look up. 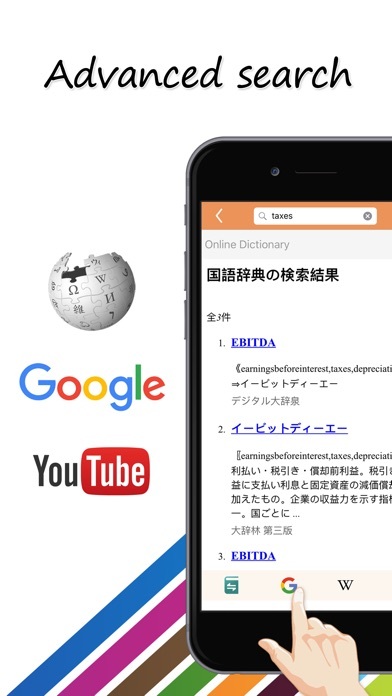 • Worldictionary recognizes and translates amongst multiple languages, ranging from Traditional Chinese, Simplified Chinese, English, Japanese, Korean, French, German, Italian, Spanish, Portuguese, Dutch, Swedish, Finnish, Danish, Norwegian, Polish, Hungarian, Russian, Czech, Slovak and Romanian. No need to type a word to look it up! • You can also select an image from your iPhone to get the translation immediately without typing words in. 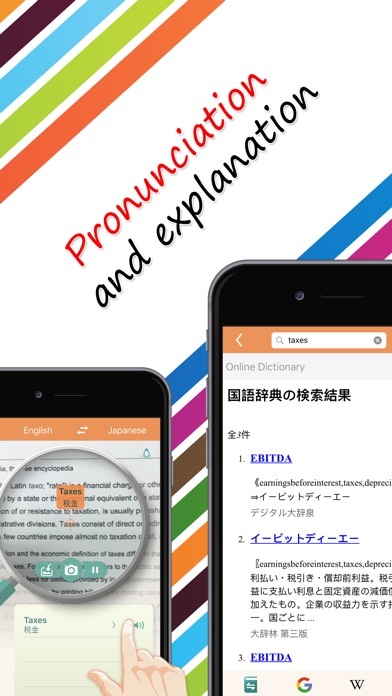 • To proceed with looking up additional words or knowing more about the usage of particular words, you can first take a snap of the text and then focus on the words one by one and look them up. • Provides full sentence translation and pronunciation. • The 'Advance Search' function lets you search through Google, Wikipedia and YouTube to expand your search. 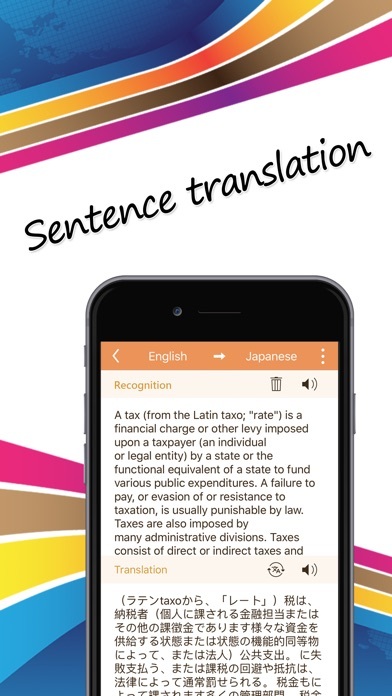 • Works with the world's leading dictionary( Collins, Dr.eye and Transtar dictionary), lets you get the most authoritative word explanations. • Save your search records automatically. You can even build your own word database to increase translation efficiency. • You can also manually enter and translate words. • Provides an anti-shake function for better image quality. 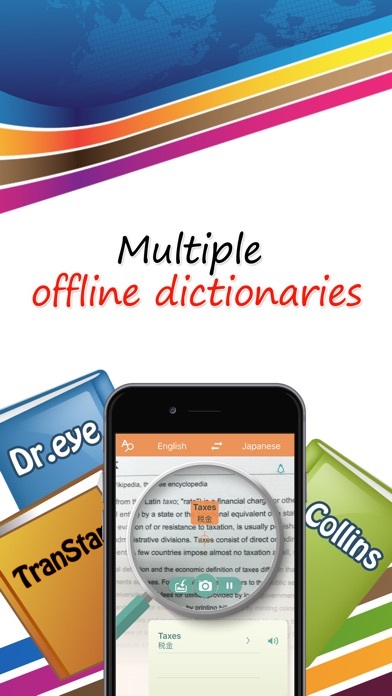 • Provides in app purchase offline dictionary.